It is well established that long-time alcohol consumption can cause brain damage that results in cognitive deficits, but research has found that cumulative, life-long alcohol consumption can cause damage to the brain's central auditory pathways, which results in hearing loss. One study found that damage to the central auditory pathways can occur in even low-risk "social" drinkers - as well as moderate and heavy drinkers - as their cumulative, life-long alcohol consumption increases. In fact, social drinkers appear to be significantly more sensitive to an increase in cumulative alcohol consumption compared to moderate or heavy drinkers. The German researchers who found the link between low-risk drinking and auditory deficits were quick to point out that their finding does not imply that low-risk drinkers are more at risk of hearing damage than heavier drinkers because the heavier drinkers with high life-long alcohol consumption have a larger amount of damaged nerves. "It is an issue of 'saturation,'" the University of Ulm researchers concluded. "For each unit of further alcohol consumption, the absolute amount of nerves damaged ​for both kinds of drinkers is the same. However, the relative change of brain damage and subsequent further degradation of the hearing performance in the brainstem due to alcohol consumption will be significantly higher for drinkers with lower life-long alcohol consumption than for those with high life-long alcohol consumption." To measure the auditory damage that alcohol can cause, the German researchers evaluated the brainstem auditory evoked potentials (BAEPs) in their study subjects. BAEPs are diffuse currents circulating in the brain. In response to sound, a particular current response is activated, which can be detected by electrodes. If there are defects in the transmission of these brain currents that affect the amplitude and/or latency of the current response, it can be detected by means of BAEP. The researchers examined two groups of males, 19 with head and neck tumors who were heavy drinkers and 19 plastic surgery patients who were social drinkers. The groups were age and nicotine-matched. The subjects were questioned about their alcohol use, given blood tests and hearing examinations. Recordings and evaluation of BAEPs were used to measure any brain damage. The results found that cumulative, life-long alcohol consumption affected BAEP latencies in both groups, indicating damage to central auditory pathways, resulting in hearing loss. It should be noted that the results of the German study appear to conflict with other studies that have found that low or moderate alcohol consumption does not influence the risk of hearing loss, even in older males. In fact, one study found that moderate alcohol consumption had a modest protective effect on hearing loss, whereas heavy drinking was associated with hearing loss. However, the other studies used standard hearing tests to determine hearing loss, rather than measuring defects in the central auditory tracks. These defects, the German researchers wrote, cannot be detected by commonly used hearing tests. Not only does life-long alcohol consumption cause overall brain shrinkage - in the cerebral cortex hypothalamus and cerebellum - that results in multiple cognitive defects, it can also inflict damage on central auditory pathways, which can result in some hearing loss. 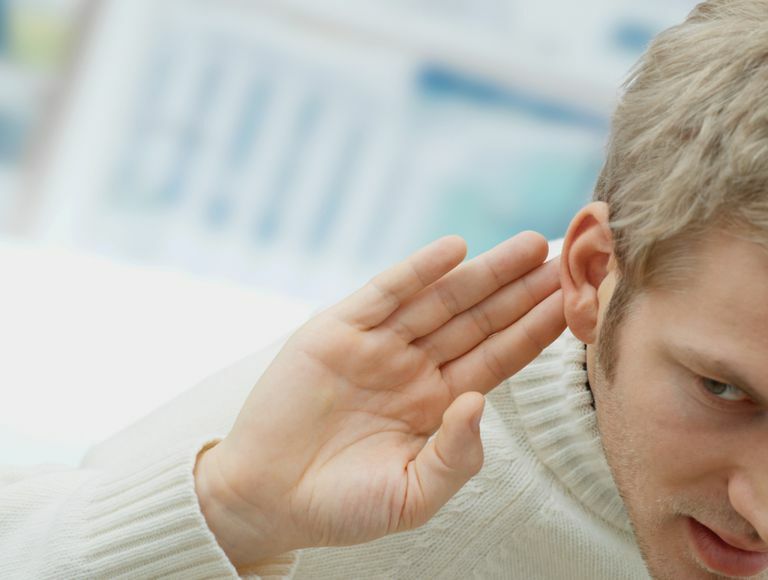 Are Hearing Aids Available Over-the-Counter? How Are ABR and OAE Hearing Tests for Children Different?